Having defined what growth hacking is, you can find a lot of examples of growth hacks – some are easy and clever, some need time and work. You can do your research, find the adequate one, re-think it and implement it. But it doesn’t always work. Lack of skills, mismatched growth hack to the stage of your startup – there’s are various reasons. After such a moment it’s good to go back to the basics – inspiration. Here you can find growth hacking success stories. But don’t you worry – you won’t find here classic examples like Dropbox, Facebook or Hotmail. This is a fresh list, updated on: 3/5/2014. Here we go! Treehouse was launched in 2011 by Ryan Carson. It’s an online interactive educational platform which teaches web design, web development, and gives business education classes about starting your own business to everyone in the world who wants to learn. In 2011, Ryan Carson in the interview on Mixergy said that Treehouse is making $1.7 million revenue. And has 49,000 users, retrieved 27 November 2013. – leveraging Twitter. From the begging Ryan used Twitter as a source of validation for his idea. When he had a MVP, he tweeted to web designers and developers, asking for checking out his wire-framed homepage. He got back 90% positive response with the opinion „I would pay for it”. – decreasing churn rate while engaging people in the product: double win! At some point, Treehouse reached 12% churn rate per month. At that time, after 10 months with 12% churn, Treehouse would be be pretty much at zero. This is the moment of quick reaction: Treehouse implemented clever motivation system based on unlocking badges to encourage students to keep learning. 23,000 badges got unlocked in the first week of Treehouse. – Extra: level hard. This is super effective hack, and it worked for Treehouse, but it’s very hard to pull off. After launch on TechCrunch, Treehouse increased its revenue by 38% in 7 days and number of paying members by 46% in 7 days. 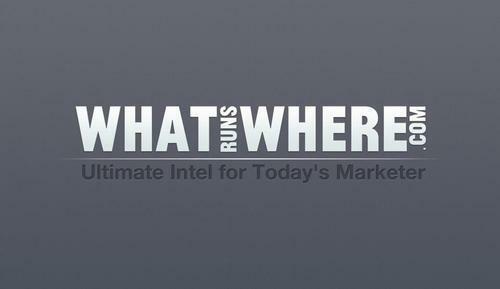 WhatRunsWhere is an online advertising service. It was founded by Max Teitelbaum and Michael Cojanu. WhatRunsWhere allows you to look up what advertisers are doing online, where they are running ads, from who they are buying inventory, and what exact ads they are using. Growth hacks of WhatRunsWhere focus on winning back lost customers. It’s very interesing: Max does all of WhatRunsWhere support e-mail (at least he did). He dedicates an hour or two a day for sitting down and doing our support e-mail from customers who send feedback. As soon as customers cancel, Max asks why and he gets that feedback. It is extraordinarily important. What WhatRunsWhere also do is categorizing customers by putting them on lists „he wants this feature”, „he wants this interface”, etc. After consideration, they pick the best ideas and implement them. Thanks to that they can contact customers again with good news. With this tactic they retained one out of every 4 users. They also used content marketing strategy: distribution of a guide „how to start media buying” was extremely helpful and made people try out WhatRunsWhere. 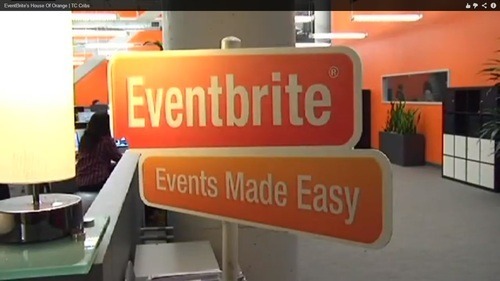 Eventbrite was founded in 2006 as a self-service for people to create and manage events and sell tickets. According to TechCrunch, Eventbrite has 20 million users (retrieved 3 August 2012). According to Vipul Sharma, Director of Data Engineering, Eventbrite users click at least one link in about 50 percent of the emails they open. It’s an impressive rate, right? They achieved it thanks to the recommendation system, which is based on data from users of Facebook account and, additionaly, on event history of user. It’s a huge amount of data but it’s led to 50 million tickets sold. This is the ultimate growth hack: pushing your product further. Visual.ly was founded by Stew Langille, Lee Sherman, Tal Siach and Adam Breckler in 2011. At the beginning they focused on infographics as, according to team’s observations, they generated 30 times more traffic than a text article. 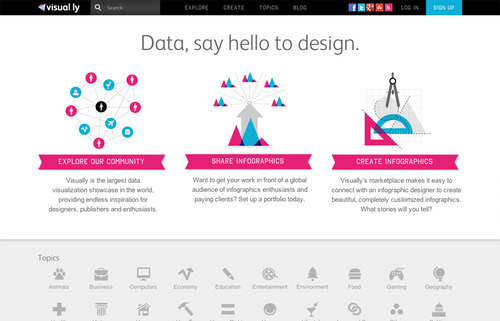 Visual.ly is basiclly a communnity platform for publishers, designers and researchers. In 2012 Visual.ly community hit 145,000 users thanks to launching of social features. Those features let users like, share and follow their favourite topics, designers etc. It triggered the following actions: the community got stronger, so the user-base got stronger too, and it helped to promote the best pieces of work. Bidsketch was founded in 2009 by Ruben Gamez. 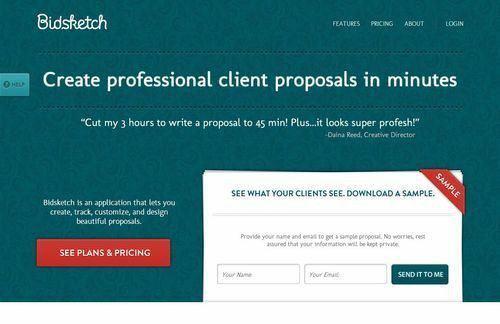 Bidsketch is an application that lets you create, track, customize, and design beautiful proposals. Bidsketch user base grown to 1,000 users thanks to quite risky growth hack – removal of a free plan. According to Ruben, Bidsketch was getting a lot of people signing up for the free plan but nobody was going for the paid plan. So Ruben decided to kill the free plan. Thanks to it, Bidsketch got 10 times the amount of paid plan sign ups than normal. Bidsketch also took the opportunity and acquired competitor, which later turned out to be a perfect source of valuable traffic. Have some great growth hacking success stories to tell?